I have finally decided to write a post about the thing I love most about the pre-trip planning process: finding accommodation. It’s the thing that the majority of people will spend the most money on over the course of their trip, as they don’t take the time to sit down and research other options. If you're traveling on a strict budget, you probably shouldn’t even look at hotels. Although luxurious, they are guaranteed to be at least twice if not three times more expensive than other accommodation options. *But a quick heads up: If you’re traveling as a couple, it will (most of the time), save you money or cost about the same to book a private room in a hotel or homestay, so i’d suggest taking a peek at Booking.com to compare dorm room prices vs. private room/hotel prices. Me and Dom use either booking or Airbnb 99% of the time these days, because for the extra price of a couple dollars, it’s nice to know we have privacy and a locked room. Hostels are usually my #1 way to travel for many different reasons. For starters, a hostel that includes breakfast in Thailand could be as low as $3 per night. Now compare that to a hotel in the same area, and you’re paying $30-$50 per night. If you’re willing to share a room with strangers (who may turn out to be amazing travel companions), then hostels are the best option for you! Hostels are great for sociability and meeting fellow backpackers. Especially if you’re traveling solo, hostels are a great way to make friends and get travel advice on the area you're visiting. Hostelworld.com is my favorite site as it’s user-friendly and has an easy-to-use app. Read Reviews. I repeat, READ REVIEWS. Seriously people, read the reviews. My process is to look for hostels within the area I want, narrow it down to those in my budget range, then scour the reviews section. The reviews will give you a much better idea of the cleanliness, safety, staff service, and social setting of the hostel which is unbelievably useful when it comes to narrowing down your choices. Now, you can’t always base your decision solely on reviews, as some travelers are uber critical, but it should still give you a good idea of what you’re getting for your money. Talk to people. Wherever you stay, everyone will have useful advice on the best/cheapest way to get around, worthwhile sights to see, great restaurants to try, and other useful tips that you may not have known prior to your trip. Check out my article and photos from my Airbnb in Bali to see what you can get for $30 per night. Literal heaven, that’s what you get. The photo to the right is from the Airbnb I stayed in while in Ubud, Bali - the hosts were perfect and made me an amazing breakfast, brought me fruit juice 24/7, transported me around Ubud, and arranged all my activities for me. Not to mention I got that whole jungle infinity pool to myself. 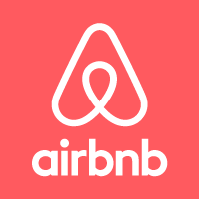 I have only stayed in Airbnb’s a handful of times, but it’s a great option if you’re looking for a more quiet, comfortable place to relax while traveling. Use my referral code here to get $40 off your first Airbnb stay! This website is my go-to for booking inexpensive hotels. As much as I love hostels and Airbnb, i'm a sucker for the luxuriousness of a hotel stay. Agoda.com is an easy to use website for finding cheap hotel options in any corner of the world. I found it especially handy when traveling throughout Southeast Asia and discovered my all time favorite hotel in Malaysia through Agoda. That's what I did with my life in 2016. Through Workaway.org, I paired up with an animal clinic called PACS (Phangan Animal Care for Strays) on the island of Koh Phangan, Thailand, and volunteered there for 3 months. I got to play with cute animals all day along with doing cleaning, feeding, helping out in surgery, and other tasks to help the clinic's day to day activities. 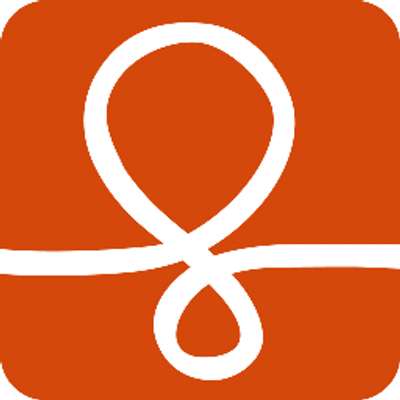 Workaway is an AMAZING website, as it allows you to connect with hosts who are looking for volunteers in exchange for housing and sometimes meals too if you're lucky. This drastically cuts down on your expenses, but you have to be willing to put in work during your travels. There are also so many options for work available all across the globe. Want to work on a turtle farm on a beach in the Bahamas? You can do that. Want to be a nanny in Sicily? Sure thing! Want to volunteer as a bartender on a yacht in Fiji? Yup, you can do that too! Check out Workaway’s website to see all the available opportunities. I'd love to hear all about your volunteer experiences - leave a comment and tell me about your time abroad!